Access to all the library's electronic books and streaming media. The following eResources have apps that enhance the mobile user experience. For many of these apps (for example, eBrary), you will need to create a free account in the desktop version of the eResource to sync Foley content to your device. Remember, free apps will not always include or integrate content available through Foley, and some apps will encourage you to purchase upgrades you may not need. 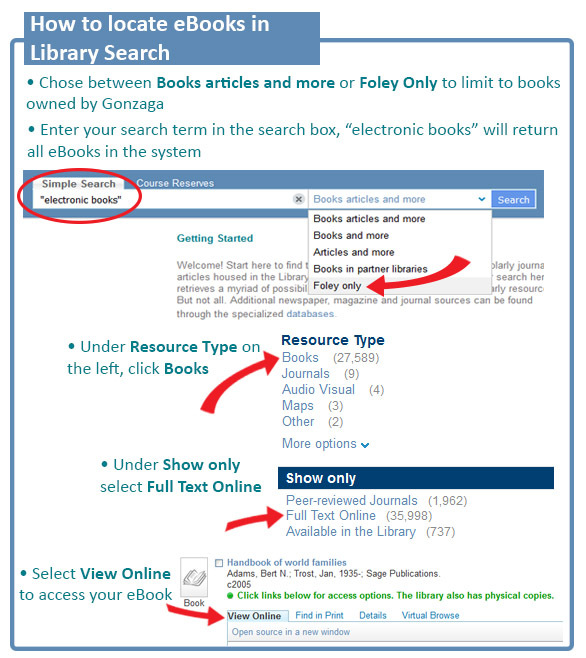 Check Foley's eResources holdings on your desktop computer before purchasing apps that may just duplicate the access you already get for free through Foley Center Library. Search and view full text eBooks that support undergraduate research. Weekly updates of current academic titles. eBrary is now Ebook Central. Ebook Central provides electronic books that support our undergraduate research collection. Our current collection includes over 15,000 titles from academic publishers, with new titles added weekly to the core collection. Books can be viewed online or downloaded directly to your computer or mobile device through the Ebook Central reader app. Ebook Central lets you interact with documents in multiple ways. 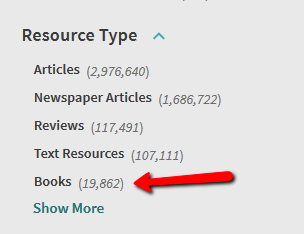 Readers can copy text, print pages, as well as search for text and see a ranking based on the relevance of your search term(s) in each chapter. Ebook Central lets you save citations to RefWorks or EndNote. If you sign in, you can highlight text, add notes, and organize information on your personal bookshelf into folders. Academic, peer reviewed, open access books.